Home » Uncategorized » Feed your mind, fill a stomach. Feed your mind, fill a stomach. 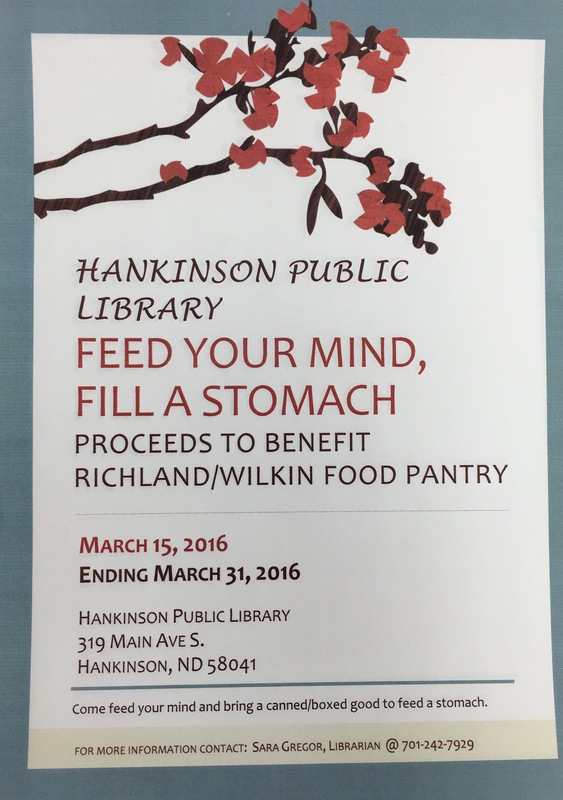 The Hankinson Public Library has heard on a few occasions that there is a shortage of food at the Richland/Wilkin Counties Food Pantry. 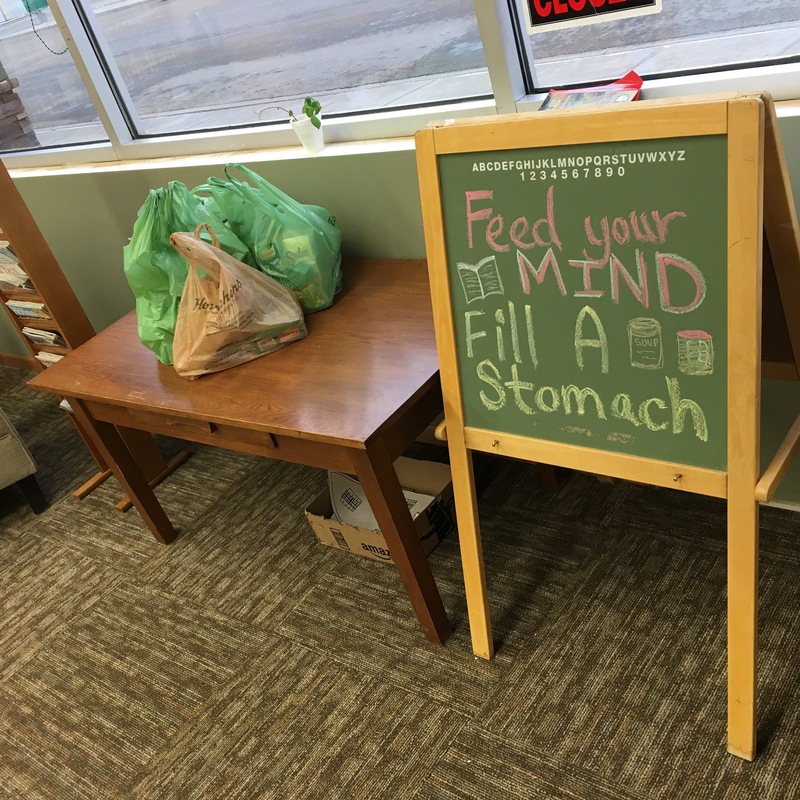 In an effort to contribute to their efforts to fill their shelves the Hankinson Public Library will be holding a food drive starting March 15th through March 31st. When you come in to the library to feed your mind, bring a food item to help feed a stomach! By hankinsonlibrary in Uncategorized on March 17, 2016 .